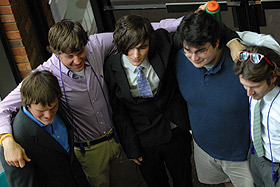 Nationally, it is estimated that 30 percent of college students are battling substance-use disorders. 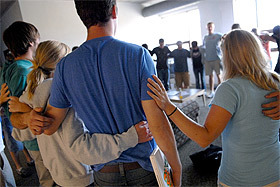 Colleges and universities are asking what role they can play in helping their students stay sober. 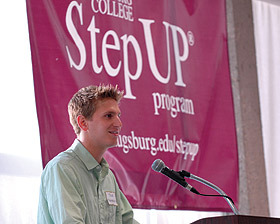 Augsburg’s StepUP program is a national leader in the field, with substance-free dorms and counselors available on site. For 20 years, StepUP has welcomed students in recovery, and continues to support those fighting addiction and seeking their degree. The tremendous work of StepUP has been featured in the Chicago Tribune, KSMP Fox 9, and the Minneapolis Star Tribune. In responding to a question on whether it is appropriate for the mental health or addiction history of a political spouse or other family member to be made public, Washburn argued that sort of political playmaking goes over the line. “I don’t think it’s appropriate at all,” Washburn said. “The candidate is running, not the family member. The electorate is voting for the candidate, not the family member. The family of a presidential candidate is going to be dragged into the public eye, but I think it’s important to respect some boundaries here. It’s an issue of respect and privacy. The candidate would be fair game from my perspective, but I don’t think family members should be. It just reflects how low things have gone in this political race. 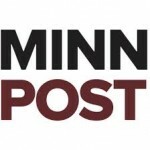 Read additional responses from Washburn in “When is a public figure’s mental health or addiction status off limits?” on the MinnPost site. The Augsburg College StepUP Program will present a conference titled “Networking For Change: Recovery and Education.” The conference will be held Monday, Aug. 11 from 9 a.m. – 4 p.m. in Foss Center and Oren Gateway Center at Augsburg College.